to Swindon & Cricklade Railway-based classmate No. 6984 Owsden Hall when it makes its first preservation runs. 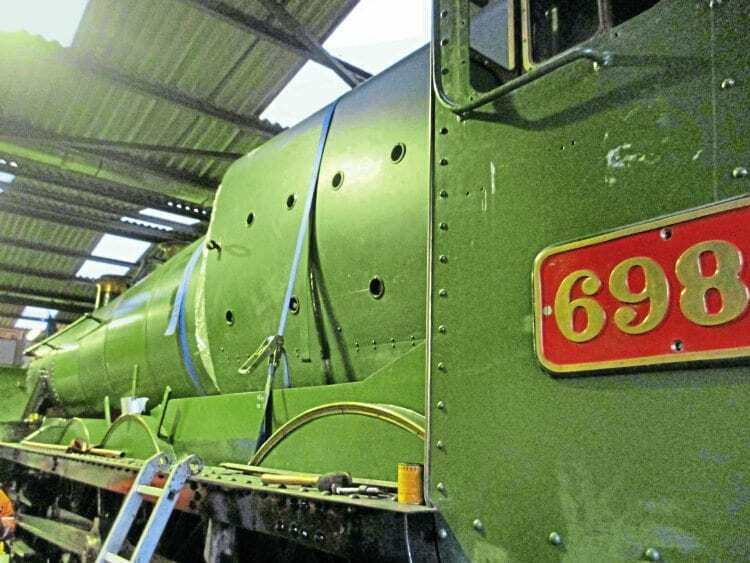 The decision by the 6989 Wightwick Hall Restoration Group will enable the 1948-built Hawksworth 4-6-0 to undergo testing and revenue-earning service while the group completes the loco’s own 4,000-gallon tender, which is literally being built from scratch. Both Nos. 6989 and 6984 have yet to run in preservation, the latter being the subject of an ongoing restoration led by Chris Denton at the S&CR. The restoration of Wightwick Hall is now at an advanced stage at the Buckinghamshire Railway Centre, with the group’s secretary Jeff Jackson confident that the engine will be commissioned later this year.